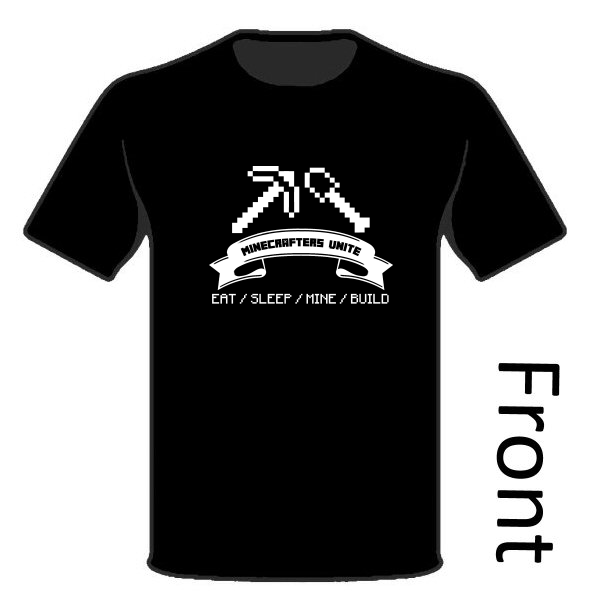 T-Shirt (Black) - Minecrafters Unite - Unique gifts and corporate services. Printed using high quality vinyl transfers on 100% black cotton. 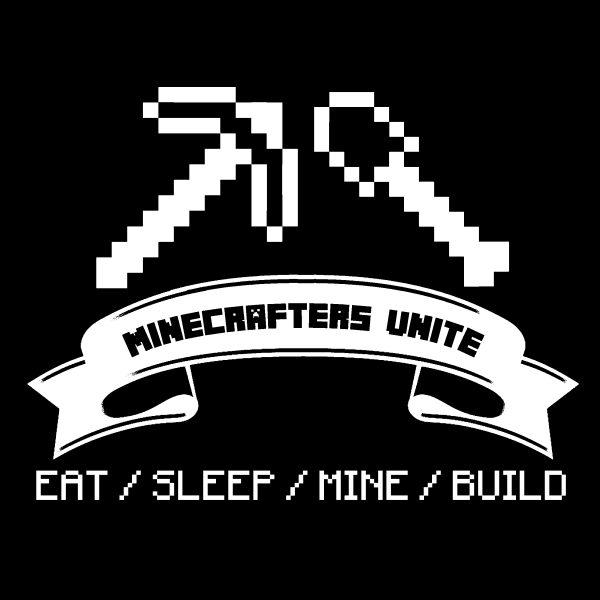 Minecrafters Unite logo on front. NOT AN OFFICIAL MINECRAFT PRODUCT. NOT APPROVED BY OR ASSOCIATED WITH MOJANG. 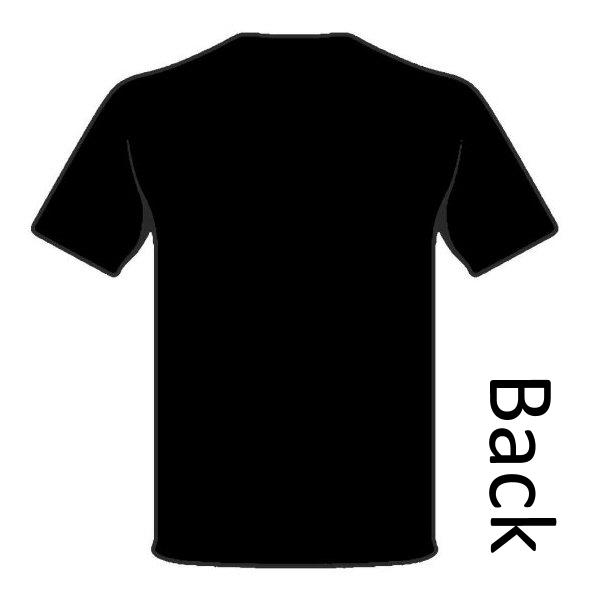 Can be washed in a washing machine without harming the image. Washing Instructions: Machine wash cold, separately. Do not bleach. Tumble dry low. Do not iron printed area. Do not dry clean. No fabric softeners. We accept most major credit cards and PayPal on this site. UK Customers may pay by cheque. You can review shipping costs before paying for your order. © Copyright 2019 - Quantum Enterprises. All rights reserved. Click here to subscribe to our newsletter for occasional news about new products and services, sales, promotions and competitions!